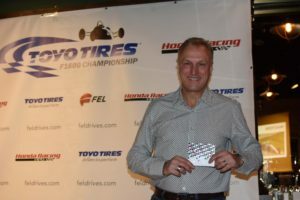 Along with celebrating its season-long podium finishers at the year-end Social recently, the Toyo Tires F1600 Championship Series recognized a number of drivers with special awards. Series and page followers will have already read of Kellen Ritter taking the Most Poles and Rookie-of-the-Year Awards, and Graham Lobban receiving the MK Technologies Hard Charger Award, but there were others as well, and each was celebrated at Granite Brewery in midtown Toronto. 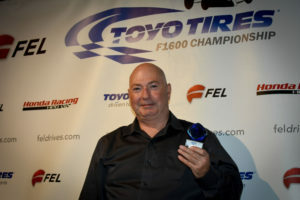 Awarded to the driver who best represents the Toyo Tires F1600 Championship Series, its sponsors, their team and themselves both on track and in the paddock, this year’s recipient was Michael Stewart. Returning to the paddock after a lengthy hiatus, Stewart teamed up with Brian Graham Racing and contested all six rounds as a Master in the A Class. The quiet, unassuming driver of the #7 from Ancaster, Ontario, is respectful of all in and around the series, and simply relishes the joy of racing, on and off the track. Awarded to the driver that shows consistent growth and development in their driving skills over the course of a season, this year’s recipient was Zachary Vanier. Joining Britain West Motorsports for his rookie campaign, Vanier qualified P11 in his first start and spent much of the first half of the season racing just outside the top five, gaining experience. 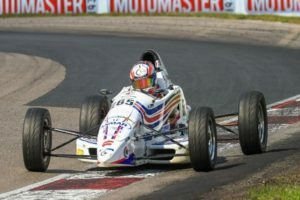 He then kicked off the second half of the schedule with a pair of runner-up finishes at Canadian Tire Motorsports Park, before running a personal podium streak to five when he crossed third in every start at Calabogie Motorsports Park! 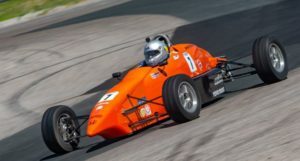 Closing his Toyo Tires F1600 Championship Series schedule back where it began in September, Vanier showed just how far he’d come when he qualified on the front row, just 0.02 seconds off pole and nearly two seconds faster than he clocked in the opener. One week later he wrapped his rookie season with a well-deserved win at the Circuit Mont-Tremblant Fall Classic! 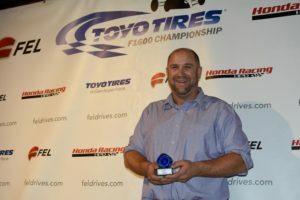 On hand to accept Vanier’s award on his behalf was David Clubine of Britain West Motorsports. 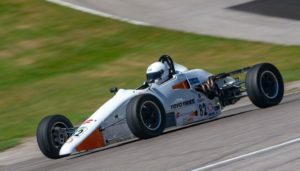 The Master Class in the Toyo Tires F1600 Championship Series is supported by Cove Dentistry. At specific race events, Master drivers aged 45+ can be recognized for setting the fastest lap, being the top finisher, charging through the field with the most positions gained or simply having an individual Master-Class performance. The year-end Masters Award then goes to the driver that gained the most positions over the course of the season, and this year’s recipient after a close battle was Bill Tebbutt! The driver of the #82 gained an incredible 39 positions in his eleven race starts. 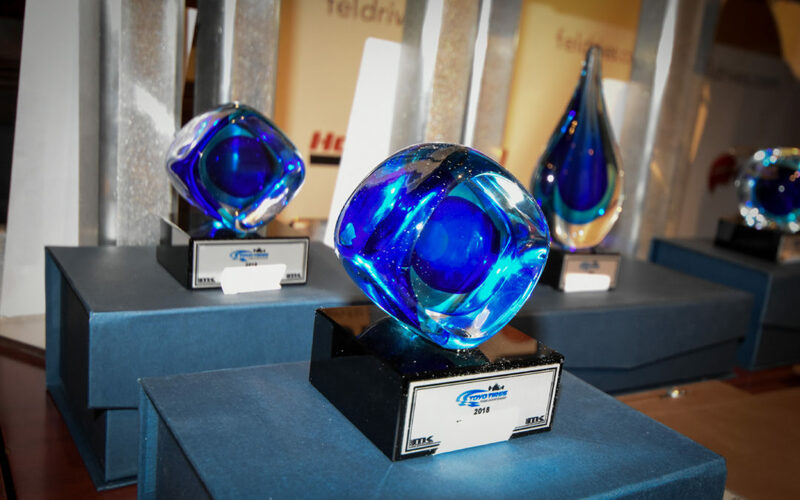 The final award we highlight from 2018 is the Spirit of Gord Lowe Award. A longtime road and motorcycle racer who passed away on New Year’s Day a decade ago, Lowe had an infectious personality and was a bright light in the paddock for decades. His son, Aaron, designed and created the cherished award and his wife, Karen, declared it be presented to the driver that best exemplifies the spirit, sportsmanship and passion that was Gord, regardless of car class or point standing. This year’s recipient was James Lindsay. 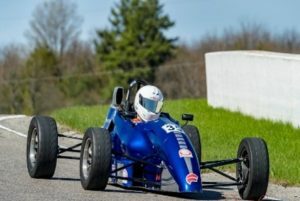 The second-year racer is an enthusiastic member of the Toyo Tires F1600 Championship Series and is highly respected by his fellow competitors. He races hard but fair, is popular in the paddock and enjoys racing and his time at the track regardless of results – something Gord would certainly understand and celebrate. 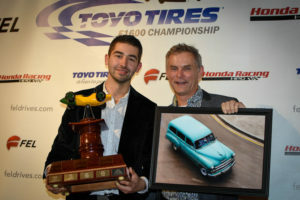 Congratulations to all Toyo Tires F1600 Championship award winners.